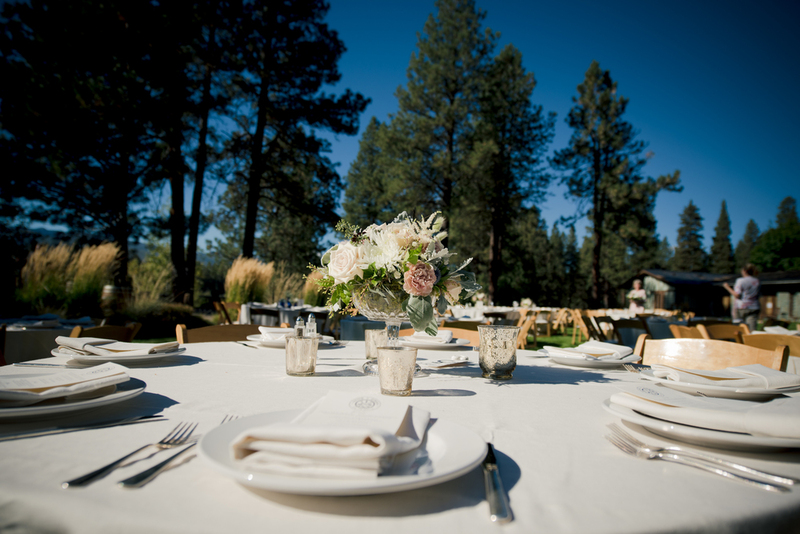 Could there have been any site more amazing than the House on the Metolius for Drew and Anne’s September wedding? Rain showers earlier in the week provided just a bit of freshness to the area and a dusting of snow on the mountains. Mount Jefferson provided a backdrop that could not have been any more beautiful. Anne’s family collection of crystal compotes were the sentimental touch to the dinner tables. The men’s boutonnieres featured fishing flies selected just for the Metolius River. Images captured by Benjamin Edwards Photography.